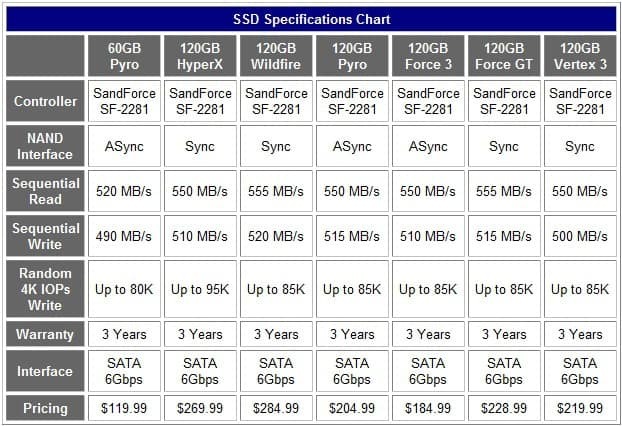 The SSD market is finally at price levels I would call palatable. There are 120GB SATA2 SSDs for $179.99 or less and SATA3 SSDs for $184.99 and above. This will undoubtedly impact sales for smaller 20-64GB SSDs used in conjunction with Intel Smart Response (ISR) technology on Z68 platforms. ISR is great for pairing a smaller and cheaper 20-64GB (max) SATA2 SSD with their hard drive so users don't have to reformat. However, since many of those smaller SSDs are still around $100, I think it's very safe to predict consumers are going to hand over another $80 or so to land a 120GB SSD in the SATA3 flavor. 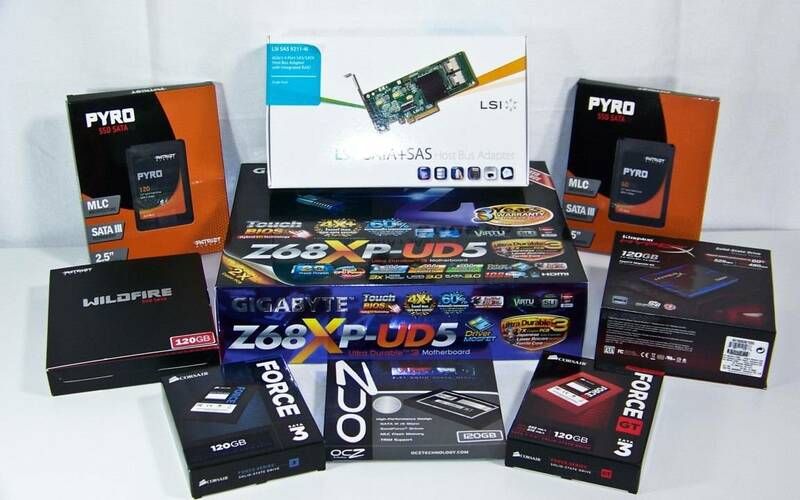 The real questions are how will SATA3 SSDs benefit users, what price premium will drooling consumers have to pay and what's going to happen to SATA 3Gb/s SSDs? And, given that a few of the Sandforce based SSDs have had very rocky starts, where are they in terms of quality control? We're going to answer those questions as we take a closer look at the latest SATA 6Gb/s SSDs from Kingston, Corsair, Patriot Memory and OCZ. Corsair Force 3 and Force GT, Kingston HyperX, OCZ Vertex 3, and Patriot Pyro and Wildfire SSDs all utilize the SandForce SF-22xx series controller which is still arguably the optimal choice whether it be 3Gb/s or 6Gb/s SSDs. Much of this performance is influenced by variables such as SATA controller on your motherboard. Currently, these SSDs use NAND that is either ASynchronous or Synchronous. Synchronous NAND holds sustained transfer rates (MB/s) longer, provide the highest IO (good for enterprise) and is naturally more expensive. ASynchronous NAND provides very similar IO performance, but not quite the same sustained transfer rates which helps lower the the cost. The new series of Sandforce controllers feature new enhanced DuraClass Technology designed to increase the endurance and reliability of any SSD featuring the SF-2200/2100. Here are the common benefits of the SandForce controller. While these features are common in the group, there are other security measures that will be found on enterprise models. Basically, this is an enterprise controller with all of the applicable features offered to the end user. Let's check out the group in the order we received them. Kingston Technology previously entered the market with their SSDNow V and V+ series. While these were their mainstream solution, they weren't exactly very exciting to look at. It was only a matter of time before the HyperX team got in on the action (with repeated recommendations to pimp their SSD casing). The HyperX SSD is the first to feature a very attractive blue with brushed aluminum exterior as enthusiasts do love to show off their components. The HyperX uses synchronous NAND which means higher sustained transfer rates. It's designed to offer up to 550MB/s read and 510MB/s write sequential performance. Naturally, the NAND will make or break that performance rating. The retail box includes a very good accessory bundle needed to assemble and maintain the HyperX SSD. Inside the sponge box is a blue SATA cable, USB cable, pen like installation tool, software CD and very attractive blue HyperX hard drive mounting tray. There is also a very nice external USB enclosure in case you have other applications in mind. The retail bundle will be roughly $269.99 and an SSD only model is estimated to be around $249.99 give or take a few bucks. The Force 3 features a jet black aluminum SSD and hard drive tray adapter as well as the screws needed for installation. It doesn't come with any software for things like transferring images, your system, or updating the firmware. However, if an issue arises, Corsair has a support group to help resolve any issues online and over the phone. As far as performance goes, it's 550MB/s read and 510MB/s write sequential performance as usual. The Force 3 utilizes Asynchronous NAND which should equate in to some what slower sequential transfer rates. Small data block rates may still do quite well. While not the flashiest nor offering the biggest accessory bundle, it has a very attractive $184.99 price tag. The Force GT is Corsair's top of the line SATA6Gb SSD. It features a red aluminum SSD jacket with a black hard drive tray adapter with screws. Again, no software comes with the SSD. Firmware updates will have to come directly from Corsair's technical forums. It essentially offers similar performance specs as the Force 3 except it offers a little faster sequential performance at 555MB/s read and 515MB/s write. It also uses synchronous NAND obviously aimed at those users who want an extra performance edge. Prices fall somewhere around $228.99 for that performance. The Pyro series use Asynchronous NAND while the Wildfire uses synchronous NAND. The Pyro 60GB model offers 520MB/s read and 490MB/s write sequential transfer performance. The 120GB model offers 550MB/s read and 515MB/s write sequential performance. While the 60GB costs $119.99, it would make one hell of an ISR performance SSD. 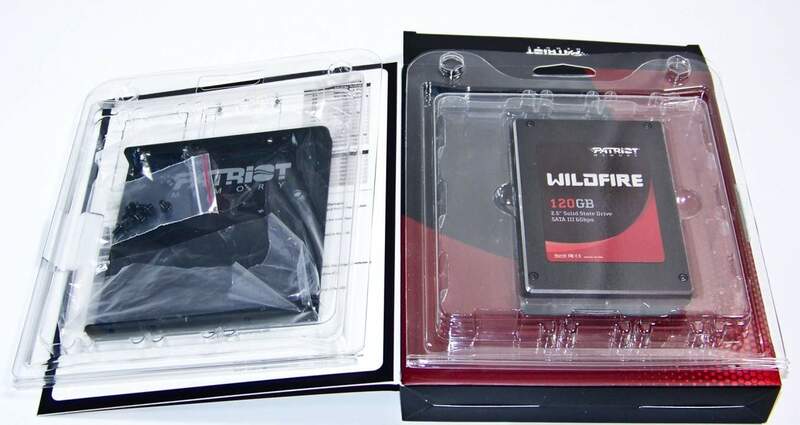 The 120GB costs $204.99 which is very competitively priced in our batch. 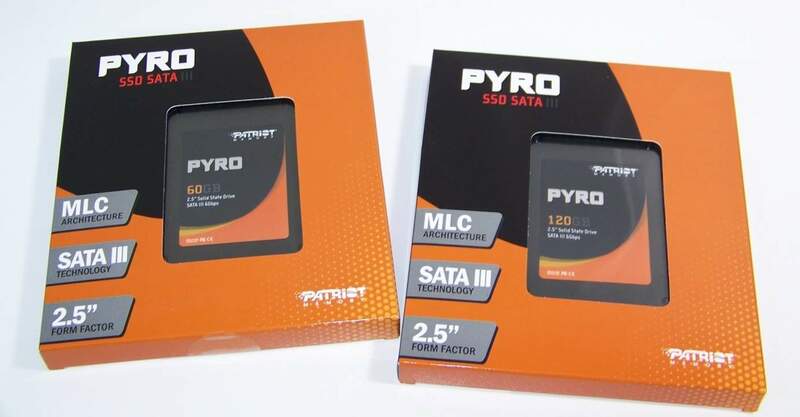 The Pyro SSDs feature a dark charcoal basic casing. Surprisingly, the Pyro drives don't come with any drive tray adapters or software. While some of today's computer cases provide at least one location to mount an SSD, it is not a common feature, especially on older cases. Users will have to go looking for a cheap adapter kit which adds to the price. Thanks to the synchronous NAND, the Sandforce controller provides the Wildfire's 555MB/s read and 520MB/s write sequential rates. Naturally, the Wildfire should provide higher sustained transfer rates and IOP performance. As with all premium performance components, it carries a $284.99 price tag for the fastest retail SSD performance around. Wildfire SSDs will come with an adapter mounting kit minus the software. It's the same adapter from from the previous generation SSDs. However, software updates come directly from product page along with documentation along with technical forums for those that need the extra help. Like any update software, it's all pretty automated and easy to update your SSD.